The New Year is the perfect opportunity to make new resolutions – whether it’s to eat less chocolate, go to the gym more often, or even become more organised in your day-to-day life. Your bedroom space should be a haven of tranquillity, a space where you can relax and unwind in clean, clutter free surroundings. But, when it comes to organising the clutter in your home, it’s sometimes difficult to find a space for everything you own, especially for your family’s clothing, accessories, and shoes! If you struggle to contain the mountains of clutter that accumulate in your bedroom, fitted wardrobes can offer a great solution – optimising space and allowing you to organise your belongings with ease. After all, when you have a million and one tasks to contend with in the morning, the last thing you need is to be fighting through a heap of clothes on your bedroom floor, right? 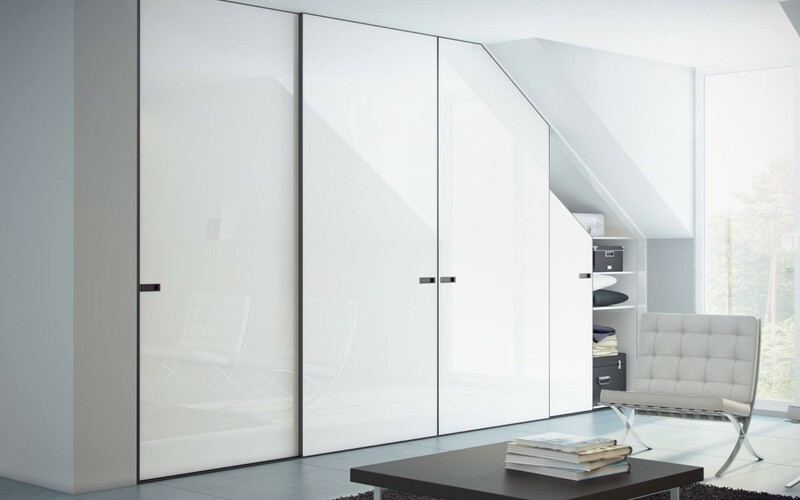 Fitted wardrobes can be designed to meet your exact requirements, allowing you to integrate built in storage solutions that work for you and your family. From spacious drawers, shelving, shoe racks and clothing rails, through to high level and concealed storage, fitted wardrobes allow you to organise your belongings in the most efficient way. They can even be designed to accommodate your exact preferences and requirements. So, if you have a collection of floor length gowns, you might want to think about incorporating an extra long rail into the design of your wardrobe, or for the shoe lovers out there, why not add a shoe rack to accommodate your ever-growing shoe collection? Of course, you could also opt for open shelving, which is a great way to show off your favourite accessories, handbags and trinkets! Fitted wardrobes are a great way to maximise the available floor space in your room, leaving you more space to integrate additional storage solutions or to create a spacious haven in which you can relax and unwind. The main benefit of fitted wardrobes is the amount of storage space they can offer. So, when it comes to dividing, sectioning, and organising your wardrobe, it’s super easy to create a well-organised storage solution that is bespoke to your needs. A neatly laid-out system also means that you will be able to locate things a lot easier, especially items that you would usually bury in the bottom of drawers such as ties, scarves, handbags and other similar accessories. Rooms come in all shapes and sizes and it can be difficult to fit a wardrobe into smaller, oddly shaped rooms. Fitted wardrobes can be designed to optimise every last inch of your available wall space, so you can make the most of every last nook and cranny.